Learnt to ride a bike from a single sentence in a book! The Bike, by Robert Penn, is a brilliant paean to the bicycle and it brought back some great memories. Above all it made me think of my late, great, lifelong friend Frank Gormley, who hilariously learnt to ride his bike from a book. He came from a large, poor family in Barrhead (or Barrheid as he would pronounce it) in Scotland and never had a bike as a child. So when he bought one later in life, he couldn’t get the hang of it. Eventually, he went to the library, found a book and learnt to ride from a single sentence, ‘Turn the handlebars in the direction in which you feel yourself falling’. With this one piece of advice off he sailed. In fact, off he sailed, on his own, across Europe and through Turkey. Tragically, he died on his bike, coming off going downhill on his own in northern Spain. I like to think of him enjoying those last moments with the wind in his hair and the warm sunshine on his face. He was always an independent sort of guy, the sort I admire. Despite the fact that I have fallen off, shattered my wrist and lay in agonising pain waiting for the ambulance, needing a full-anaesthetic operation and titanium plate, I also love cycling. Like Frank I took to cycling late in life. In this, my 54th year, I’ve cycled the whole Hadrian’s Wall on a sort of ‘Four Men on a Bike Run’ trip, and loved it. Later in the year we cycled down the Danube through vineyards and orchards visiting the castle in which Richard II was held, Baroque monasteries and Vienna. Above all, I love to ride along the sea cliffs of Sussex and in my local woods where for the last two years I’ve seen the seasons change close-up; butterflies in summer, mushrooms in Autumn, snow and ice in Winter and wild flowers in Spring. I’ve even taken the plunge and bought a mountain bike (Andy tedd was the spur for this), and now relish the pleasure that roots, mud and weaving through single path routes in Stanmer Woods can bring. A bike even featured in a quite unusual family affair. My son's bike was stolen by a bare-chested, tattooed thug, who didn't reckon on him, his brother and mother's perseverance. After driving around Brighton for half an hour, in a long-shot attempt to spot the thief, they did. Gil operated a SWAT team swerve, cornered him on the bike my two boys leapt out recovered the bike, and saw him off (they're both second degree Black Belts in Taekwon Do). As my son said in the article that appeared in The Sun, headlined 'Boys Belt Thief' "My mum;'s quite scary - she's Scottish!" In any case, whatever your cycling proclivities, gentle rides in the country, hard road riding, mountain biking –especially if you’ve ever had that feeling of being king of the world when in the saddle or that rush when you’re hammering downhill, you’ll love this book. Penn interleaves the history of the bicycle with personal memories (he’s cycled round the world) and his goal of building his perfect bike, one that will last the rest of his life. For the techies, there’s lots of detail on tubes, spokes, rims, tyres, handlebars and gears. He travels the world, at least the US and Europe, to get the perfect components and meets the people who make them and watches their often hand crafted manufacture. But the real joy of the book is the sheer pleasure he (and others) get from this simple self-propelled vehicle. There’s nothing like a simple book where the author’s passion for a subject is just overwhelming, especially if it’s a passion you share. Lessons learnt? It’s never too late to learn, don’t let adversity stop you, teach your kids to stand up for themselves, and (in learning) less is always more (even a single sentence can teach you a new skill). God bless you Frank. UK e-learning companies in rude health? A rude review! The UK e-learning business remains, I think, in rude health, with predicted growth this year for Kineo, Epic, Brightwave, Line and Learningpool. It's not all been plain sailing, but here’s a gander at the top UK e-learning businesses over the last three years. Kineo has grown every single year since the guys set up after Epic was sold to Huveaux in 2005 and have never had any debt. Well that’s not quite true, as they converted their company from a partnership to a limited company, thereby lending money to themselves, a common tax wheeze, but it’s not really debt in the sense of a liability. It's a good team, led by the force of nature that is Steve Rayson, and they’re going strong on the back of bespoke work, franchising and Totara. What’s really interesting is their rapid expansion abroad where revenues across their shared businesses are probably nearer 15m, making them a salable entity. (3.7 m 2008, 5.2m 2009, 7.1m 2010). Epic declined badly under the weight of a bad loan from the Bank of Scotland to Huveaux, and has declined in revenues every single year since it was sold it in 2005, when they eliminated the huge cash reserve and started to drop on revenues. Although bought out from Huveaux, they also suffered badly from a talent drain to Kineo, whose management team are all ex-Epic. However, it looks as though they may be bouncing back, with a possible increase in revenues in 2011. They’ve won a couple of large contracts and are dabbling in mobile and Moodle, which is a sign that they’re thinking afresh. (6.1m 2008, 5.15m 2009, 5.1m 2010). The irrepressible Steve Dineen’s a trooper and has, presumably, timed out on his non-compete clause and resurrected Fuel as Fusion, with the same shocking pink corporate palette, and check out the shot of the company management team on their website– it looks like a cheap version of the Bullington Club! Other news includes the sale of Edvantage (ex-Futuremedia). It looks as though Lumesse have bought them for their LMS and tools, so it will be interesting to speak to that other Brighton force of nature Andrea Miles (ex-Epic) to see what the future holds. Specialists in oil & gas, these folks from Aberdeen have shown that sector specialisation has its rewards. However, I don't know them, so will not comment. Brighton remains the epicentre for UK e-learning, with Kineo, Epic, Brightwave, Edvantage (now Lumesse) Vivid and many other small companies forming the backbone of the UK industry. Sheffield like to say they have the edge but it’s the Kineo and Line satellite production groups there that keep it strong, showing a degree of dependence on the south-east. The new league table should show Kineo and Line (neck and neck finish I reckon) then Epic, Brightwave, Redtray (if they survive), Learningpool and Saffron. I wish all of the above companies well in 2012. Times are tough but they’re all seasoned campaigners and should do well. 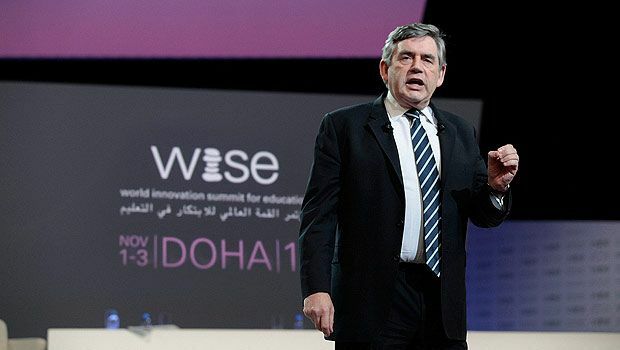 1200 leaders in learning from 120 countries at WISE2011, all flown into Doha by the Qatar Foundation to shape the future, with a focus on innovation. Did they succeed? Yes and no. It takes more than three days to create an Education Spring. Here’s my take. It may be more accurate to say that education has learning difficulties. The system is fixed, fossilised and, above all, institutionalised, so the rate of change is glacial. People are, by and large, trapped in the mindset of their institution and horizontal sector. In truth, small pools of innovative practice are patchy and stand little chance of wide scale adoption. Many of the speakers repeated platitudes about education being the answer to all of the world’s problems. What they were short on were solutions. Education is always seen as the solution to all problems. The problem with all this utopian talk is that it dispenses with realism. It took a politician, Gordon Brown, to show we educators how to communicate, teach, frame a problem THEN a solution. His speech was masterful, laying out the many dimensions of the problem, informing through humour, moving the audience with heart rending stories then he hit us with a vision, a clear goal and details on funding. All children in school by 2015, with massive injection of funds by the private sector, public sector, religious institutions and not-for-profits. He put great emphasis on tech companies such as Google, Apple and so on, which was novel. Few were using Twitter, Facebook was a mystery to most and fewer still blog. The stage was often filled by older people in dull suits who all agreed with each other, that education was a glorious and great good. If only our leaders could see this, give us more money, then all our sins would be washed away. But this doesn’t wash. Things only sprang into life when we got younger learners' voices, like the young Qatari woman who shocked the academics by saying she wouldn’t have got through her medical degree without Wikipedia. She challenged the audience to step into their local school to see if things have got better (obviously meaning they had not). Real innovators, like Jimmy Wales, were thin on the ground. I would have given him the WISE prize, as Wikipedia is a truly amazing, global, scalable success in learning. He explained that he didn’t have a business plan and just got on with the task, “I’m a carpenter not an architect”. A recurring theme of the conference was the undercurrent of ludditism. Even the presenters were at it, with little digs at technology. We kept hearing ‘technology is only a tool’, ‘technology is not proven’, ‘it’s not the technology its teachers that matter’. Replace the word ‘technology’ with ‘books’ and you’ll see how odd this is. Valerie Hannon of the Innovation Unit has continued with this anti-technology theme in her blog. The Arab Spring has taught us educationalists a lesson. The heavy investment in education, especially universities, is turning out graduates with low, relevant skills, resulting in mass unemployment. Across the Arab world of 85m 18-24 year olds, nearly 1 in 5 is unemployed. The immediate (and it is immediate) challenge is to develop skills for employment and security. 1 in 4 are out of work in Tunisia. In Egypt 34% of young people wait for a long time before finding a job. They call it the ‘waithood’ and can be up to 3 years or more. At 7% of GDP on education, Tunisia is near the top of the league table, so what went wrong? Why has so much money been spent with so little success? Ask the graduates. “No one wants the skills we have and we don’t have the skills they want”. E4E (Education for employment) has a real and relevant approach where employability matters with application based learning and good career guidance. Employers want real world experience not just paper qualifications, so you have link education to the workplace. With female job seekers it’s worse , with unemployment at more than 30-35% among female graduates. There was some agreement on the lack of relevant skills, most employers expressing dissatisfaction with critical thinking, problem solving, teamwork and communications. The system was stuck with memorisation and lecture based learning. Professors sell their notes and set exams around the memorisation of these notes to increase sales. Asking questions and questioning the knowledge of teachers and academics is barely tolerated. This is not education, this is programming. On top of this there’s a strong stigma against vocational training, especially among educationalists. Edgar Morin saw modern universities as having failed to respond to modern times. Their disciplines limit our knowledge and lead to separation. We need relevant knowledge, not barren , specialised experts, lost outside of their discipline. The proof? The current financial crisis shows this – academics are impotent and lost. They have lost the ability to communicate properly and come up with solutions. A German Professor of Mathematics told me that he’s just spent 6 months in Ethiopia help set up 40 (not a mistype) Universities. He thought this was lunacy. The country has barely functioning schools and they’ve been fed the line that HE is the answer to their problems. What they need, he explained was more vocational colleges for technicians and functional jobs, not advanced degrees. This is the madness of institutionalised initiatives. All over the Middle East and Africa, western Universities are playing this game, setting up campuses in education parks. It’s a distortion that they could do without. It sets the expectation that everyone should become a ‘Doctor or Engineer’. That’s the phrase you hear all the time. No, these countries need functioning managers and professionals across a wide range of professions. On the same panel, a South African claimed that the country needed ’more postdocs and women in Engineering’ (that old trope). Oh yeah? I attended a completely sterile debate on University rankings. Despite general agreement that a linear sequence does not statistically represent the diversity of the institutions or data, and despite knowing that they don’t represent teaching (yet are used by parents and teachers to choose universities), they are still used by academics who should know better. These are lies told by people who know they are lying. Prof Jeffrey Sachs was clear, don't invest in the American model, now driven by greed selfishness and short-sightedness. The Arab Spring was omnipresent. It coloured everything. Young people want jobs and in the Middle East the current model hasn’t worked. Degrees have been commoditised. What people need is jobs. We need to recognise that technology played a huge role in the Arab Spring, and if it can help topple governments, it can help transform education. The Arab world has one language and could benefit hugely from an initiative that produced good Arabic content, from the cloud, that was device-independent. If the Qatar Foundation could step up to the plate on this one, we’d have real progress. Some voiced the opinion that the Arab Spring is the best thing that could have happened for education in the Arab world. It could help elevate the agenda to where it ought to be. Why? Long standing institutions, with sclerotic structures and management, are the problem, with deeply rooted incentives to prepare for a test or get a diploma. So, at the heart of any programme needs to be the reform of incentives, comprehensive and ambitious reform, not only in countries that have gone through revolutionary change but other countries by proximity. A deeply depressing incident occurred in Charlie Leadbeater’s session on innovation. After a brilliant triplet of innovators who were reshaping education by getting it out of the traditional classroom, the Minister of Education for Iran swanned in with a posse of henchmen. Or so we though. It was actually a lackey who read a speech that had numbered goals around setting tens of thousands of Koranic schools and prayer rooms, linking, and I quote ‘knowledge to religion’. This cultural engineering is a disgrace. More education, in this, sense is casting the net backwards. You must not only think out of the box but get out of the box that is the classroom. Indeed, the best workshop was on three innovations from India, Denmark and Australia. All three had taken education out of the classroom. A school in Denmark, Hellerup Skole, had been built as a ‘house’ then space allocated and appropriate furniture bought. In Australia Stephen Harris had abolished classrooms and reimagined education around different concepts of space. I asked him why his kids were still in uniforms and he said, clearly annoyed, “it’s the legacy of the British public school system”. I heard of schools under mango trees, walking schools that took place in a different house in the village each day, learning in church halls after hurricanes that had wrecked everything else, pavement kids in India that had school bussed to them as they couldn’t leave their home unguarded. Did you know that 50% of all schooling in Afghanistan takes place in tents? Of course, the real space that has been colonised by learning is virtual. Google, Wikipedia, YouTube, iTunes, Facebook, Twitter, Khan Academy, VLEs, OER and a huge number of other sites and tools have created an alternative world of learning. Despite WISE attendees being largely lost with technology, technology is easily the most important innovatory force in learning. Lifelong learning appears to have been hijacked, at least in Europe, by educational institutions. I attended a workshop on LL that started with nothing but talk of Universities and the funding they receive in Lifelong Learning. Until, that is, the audience revolted and pointed out that institutions are the reason why Lifelong Learning is failing. We know that formal and informal must be recognised. This is not about schooling, but avoiding the trap that schooling leads to – that learning must take place in institutions through courses, with teachers. One could argue that Universities have little or nothing to do with this. On the topic of realism, Martin Burt runs schools as businesses. The schools pay for themselves. Rather than teaching abstract maths they teach business maths. For him this is not a business project but a business. This is interesting, an appeal that more learning should be REAL and RELEVANT. Until we see knowledge, skills and learning in context we’ll be stuck in a culture that values the academic over everything else. We know this has been a huge mistake. 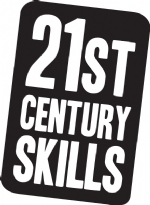 Vocational learning needs a voice. Despite the obvious barriers, such as small screens, cost, technical variability in devices and basic illiteracy, it’s starting to happen. Mobiles are powerful, personal and portable. The costs are plummeting, with some operators offering zero rates for educational use. In some countries the cellphone has leapfrogged other technology for the poor. Dr Maths has been used by 30,000 students in Africa, and elsewhere, to deliver text and tutor support in maths. They bypassed schools and teachers entirely relying on word of mouth. They operate in S Africa and found that even in the townships mobile ownership and access was pretty much universal. In fact it is staggering how much poor people will spend on mobiles – up to 30% of their income. Of course, seeing mobile as just a communication device between teachers and learners restricts its primary advantage – scalability. Tutors and teachers are not scalable. I learnt how Twitter was used for language learning (the 140 letter constraint is the trick). Siri offers a breakthrough here with voice recognition and AI driven coaches, assistants and language learning. Flippin’ heck –is the whole of education doing things backwards? The TES has just published an article on ’flipped learning’ with views from myself, Salman Khan and others. My first point was that flipped learning is not new. The Open University has been doing it for over 40 years. “They let you learn in your time through the materials they provide and the tutors are there to help and close the knowledge gaps”. However, “we have only just started to explore this. It is literally thinking outside the box, the box in this case being the classroom” or lecture hall”. Additionally I stated that, “we should be taking technology out of classrooms so they can be used for their intended purpose – learning”. Why? The classroom is a cramped box crammed full of alternatives targets for attention, “an incredibly awkward environment in which to learn because of all the distractions”. Conversely, “the trouble with a lot of homework (awful word)…is that kids get stuck because there’s little or no help at home”. So why not flip them and do the straight exposition at home, and formative learning in the classroom? The problem is that teachers and lecturers have become trapped in fossilised pedagogies – quite simply, huge dollops of talking at people in the classroom and lecture hall. To be fair, expectations of institutions, expectations of students, job titles (lecturer), buildings, budgets and quality evaluations, all target the fossilised model. 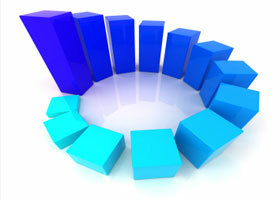 So there will only be change when there’s a “concerted effort to change the fundamentals…. You have to redesign your course from scratch and not just add technology. It should be a compulsory part of teacher training to use technology in innovative ways”. I’ve blogged on flipped learning before, extolling its sensible approach to the use of technology in learning – DON’T PUT TECHNOLOGY IN CLASSROOMS, use classrooms to teach through formative assessment. The internet has given us more pedagogic shift than the entire cadre of educationalists over the last century. First text (Wikipedia), then audion(podcasts) and then ubiquitious video, along with links and interaction, have all given us the opportutnity to learn the basics online. What we need from teachers is teaching – namely constructive feedback. To be honest, ‘flipped learning’ is merely a species of ‘blended learning’, just one of many possible blends. What makes it such a great fit in education, is the obsession with the lecture or talking at people in classrooms. If you can’t get people to stop reading at you for hours in a lecture hall or classroom, and calling it ‘contact time’, do something radical, get them to stop the madness, flip it, and force them to teach.